Free Flooded Ring (FFR) Transducers | Sensor Technology Ltd. Free Flooded Ring (FFR) Transducers | Sensor Technology Ltd. 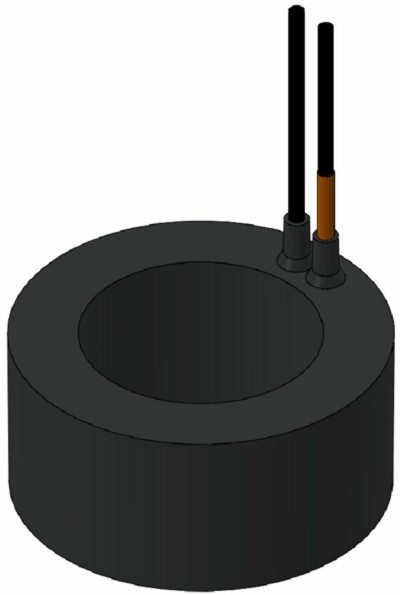 The open body design of free flooded ring transducers provides an inherent pressure balancing mechanism. This delivers one of the design’s principle advantages: an unlimited depth rating. Unlike most other common transducers, the performance of a free flooded ring remains virtually unchanged regardless of hydrostatic pressure. 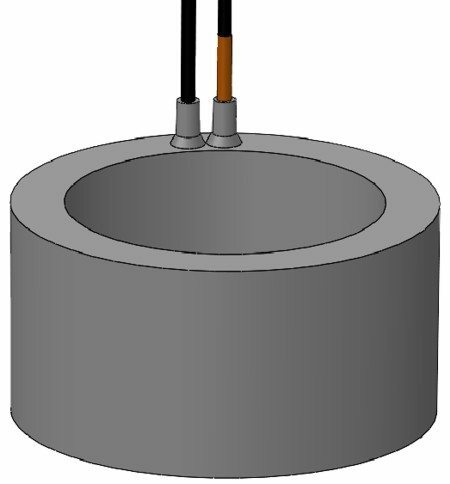 Free flooded rings are efficient transducers. They perform well in both transmitting and receiving. They offer a low Q so they can broadcast across a wide band. Additionally, any number of free flooded rings can be assembled into an array to boost output and/or increase directivity. Because of their simple construction, free flooded rings are reliable and rugged. They are able to withstand a reasonable amount of impact or shock that they may experience in function, during deployment or in transportation. They require little maintenance and offer a long service life. Free flooded rings have a beam that is toroidal in the horizontal plane. The transducers also radiate along their primary axis, out the open ends of the tube. The width of this axial beam can be controlled by changing the length of the tube. However, this is likely of little importance for most applications given that the amplitude of the axial radiation is much lower than that emitted radially. The free flooded ring is a simple design. It is an encapsulated piezoelectric ceramic tube. So, in air the transducer displays the same resonance modes as the unencapsulated ceramic tube. In water, however, an additional resonance mode occurs. The volume of water contained inside the tube interacts with the surrounding fluid as a Helmholtz resonator. This Helmholtz resonance is also referred to as a cavity resonance or squirter mode and is well described in the DoD paper “Design Parameters of Free-Flooding Cylindrical Transducers“. The squirter mode introduces an additional, lower frequency resonance point. (It occurs below the hoop mode resonance, which is the lowest resonance frequency in air.) The transducers display high sensitivity at the Helmholtz frequency and at the hoop mode frequency, as well as in the region between these two resonances. That is, the coupling of the two modes produces a broadband response in the transducer. This is a valuable characteristic for a number of applications. Sensor Technology Ltd. can provide free flooded rings in frequencies ranging from below 5 kHz to almost 500 kHz. Contact us to discuss your requirements.